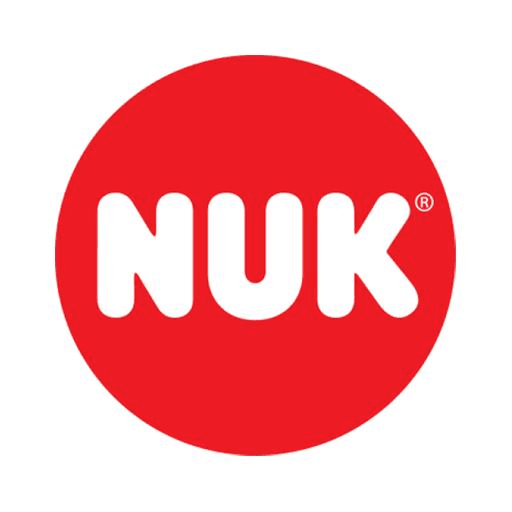 Happy Lunar New Year to you and here’s another set of NUK Toys you can win! The NUK Toys set includes: NUK Forest Fun Activity Spiral Owl NUK Forest Fun Activity Ball Simply 1. 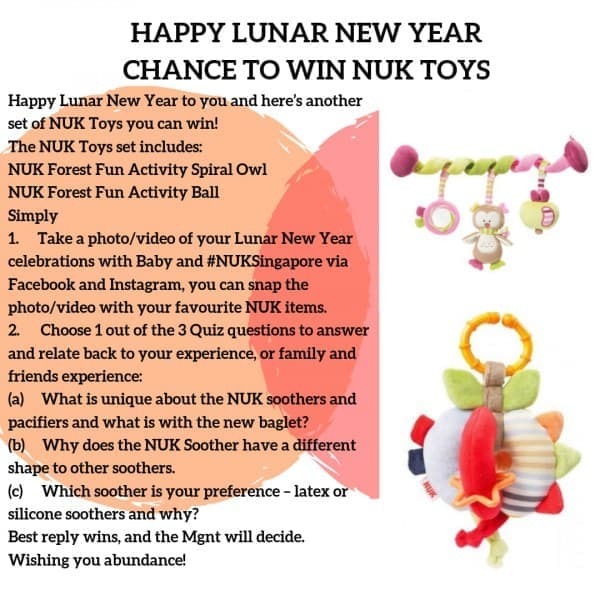 Take a photo/video of your Lunar New Year celebrations with Baby and #NUKSingapore via Facebook and Instagram, you can snap the photo/video with your favourite NUK items. 2. Choose 1 out of the 3 Quiz questions to answer and relate back to your experience, or family and friends experience: (a) What is unique about the NUK soothers and pacifiers and what is with the new baglet? (b) Why does the NUK Soother have a different shape to other soothers. 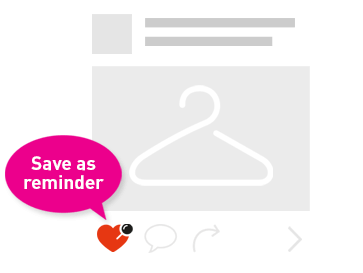 (c) Which soother is your preference – latex or silicone soothers and why? Best reply wins, and the Mgnt will decide. Wishing you abundance!